J. Jahns is with the Optische Nachrichtentechnick, Fern Universität Hagen, Feithstrasse 140, Hagen 58084, Germany. J. A. Cox is with the Honeywell Technical Center, 3660 Technology Drive, Minneapolis, Minnesota 55418. M. G. Moharam is with the Center for Research and Education in Optics and Lasers, University of Central Florida, Orlando, Florida 32816–2700. 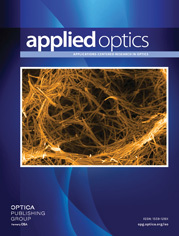 This issue of Applied Optics features 19 articles related to the fabrication and the design of diffractive and micro-optics as well as their applications. A companion feature in the Journal of the Optical Society of America A includes papers on the modeling of diffractive elements.